Watch Thrive Global founder and CEO Arianna Huffington on Morning Joe. 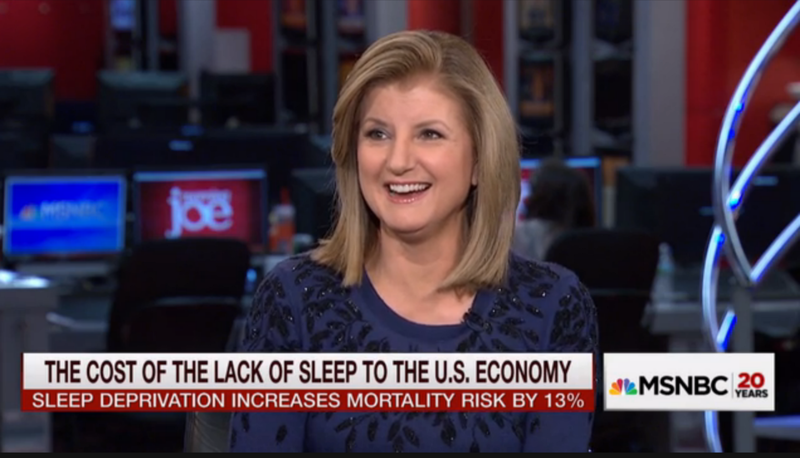 Thrive Global founder and CEO Arianna Huffington joined the Morning Joe team Friday morning to discuss the science of sleep, the economic impacts of sleep deprivation and why a certain president-elect should stop bragging about sleep deprivation. Sleep deprivation isn’t just an individual problem — it’s a global problem that costs the U.S. $411B a year. Another method is to disconnect from your devices — Arianna recommends charging gadgets outside of the bedroom. Watch the full video below, and read about how Morning Joe host Mika Brzezinski streamlines her style here.